SYDNEY has announced a further two re-signings, with Harry Marsh and Jordan Foote upgraded to the senior list after each committed to the club until the end of 2018. The news comes in the wake of luckless Swans backman Alex Johnson signing a deal to see him contracted for next season. Marsh, 22, lined up in the Swans' first three finals but was left out for the Grand Final, playing seven games in the senior team this season. Originally drafted in 2012 at No. 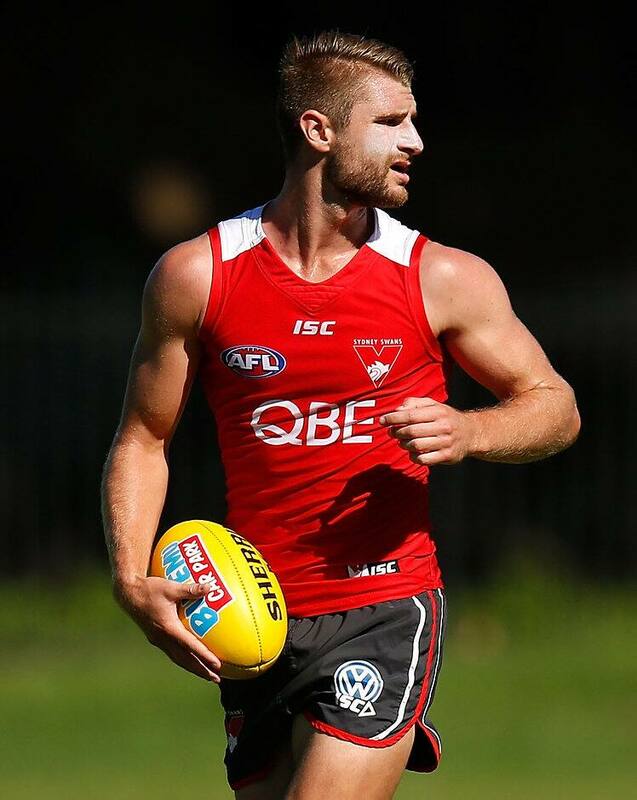 44, Marsh was delisted at the end of last year before the Swans picked him up as a rookie. Foote was brought in to the club through the rookie draft in 2014 and made his debut late this year against Carlton, which remains his only game to date. The 20-year-old was formerly part of Sydney's academy. Swans football manager Tom Harley told sydneyswans.com.au Foote was ready to become a regular in the senior side. "Harry's return to the primary list is a great reminder to all young players of the value of resilience and hard work. It was great to see Harry debut this year and he provides us with a steady hand in defence," Harley said. "Jordan's improvement in 2016 has been fantastic – he elevated his NEAFL game to a new level and proved that he is ready to tackle senior AFL football." The Swans have upgraded four rookies this year, with Tom Papley and Nic Newman also promoted to the primary list.